No More Pencils, No More Books. Picture taken from the David Thompson Highway. Approach: The route is on an east facing cliff located on the next major ridge east of Mt. Wilson. Park a km or so east of the last BNP signs and bushwack for about 1.5hrs to the route. No trail. Route Description: This route was first climbed in 2004 by Nordegg locals with two leaders climbing side by side, and 3 climbers following side by side! It doesn’t often form, but is worthwhile when it’s there. 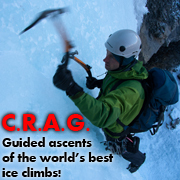 A long pitch of steep ice leads to an easier top out. 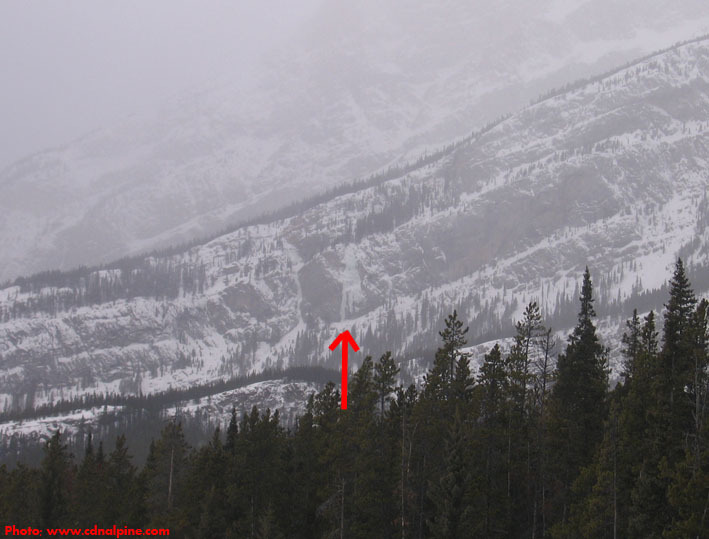 Objective Hazards: Possible avalanche danger on the slopes at the base during times of extreme hazard.